The day to day work responsibilities has seen more and more households opting to hire nannies for their children. 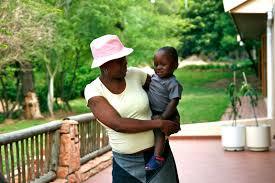 Someone who is able to conduct a few household chores and as well take care of the children. You can’t just hire anyone for your kids, right? So below we look at a couple of things to consider before hiring a nanny. Why do you need a nanny? Is it for the children only or for household chores too? Do the children need any special care? What else are the nanny’s responsibilities? After answering your reasons for needing a nanny, you need to consider how old your kids are and how well they relate to new people. Do they throw tantrums? Are they spoilt? Shy? Introverted? Extremely playful? Do they make friends easily? The recruitment process for the nanny can now begin. Ensure that the recruitment agency where you hire the nanny from is registered and has a great reputation. Ensure that when the prospective nannies are shortlisted. That they fit your criteria. Keep in consideration the nanny’s age versus that of the children you’re hiring them for. You do not want a very old nanny who won’t be able to keep up with your children. You also don’t want someone too young that the children won’t take seriously. Consider their experiences in the job, their strengths and weaknesses, how well they relate with kids and different members of the household. Find out if they have any special skills to offer to your household and then with time you’ll learn to trust each other. The best nanny for your children will be willing to take their time to get to know your children well. This will help them build a relationship and eventually, trust. As a parent and more so an employer, you need to be able to trust the person you’re leaving your children with. You should be able to engage your gut instinct to kind of inform the decision on who to hire. After you have put everything into consideration, then its time to take a step of faith and hire just the right nanny for your children.